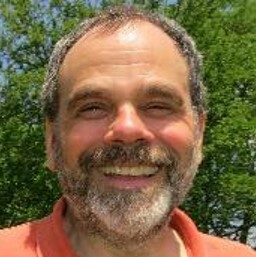 Sheboygan, Wisconsin author, educational consultant and veteran elementary and middle school classroom teacher Michael Leannah. 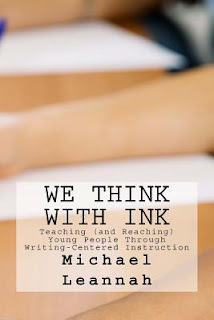 It’s one of four from his recently-released book WE THINK WITH INK (Brightside Publications, 2016) that make our TeachingAuthors month of May even merrier. As I shared in my introduction to the first WWW posted May 3, Michael writes fiction and nonfiction for children and adults. Tilbury House releases his picture book MOST PEOPLE in August. Two other picture books are soon to follow: GOODNIGHT WHISPERS (Familius) and FARMER HUCKINSHUCK’S WILD RIDE (Splashing Cow Books.) His stories have appeared in U.S. and Australian magazines. Check out today’s WWW and try your hand, then be sure to return the next two Wednesdays in May to do the same. It is good to have at least a bit of structure in the classroom, as well as in the workings of a writers’ critique group. 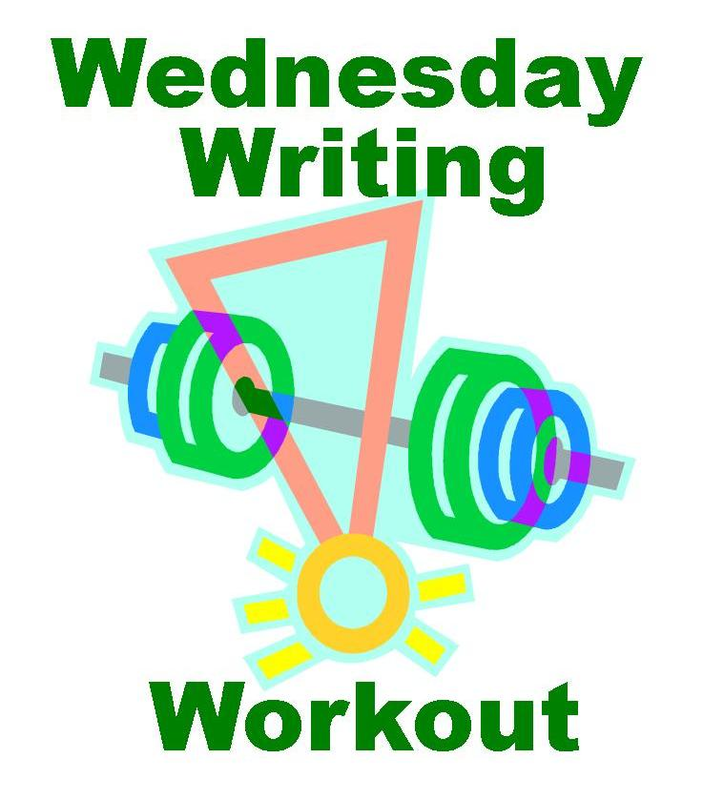 The Daily Practices outlined below will help to “get the juices flowing” when beginning a new assignment and to keep the focus where it belongs throughout the writing session. For much of the work described below, I encourage the use of a chalkboard or white board. It is good for all involved to hear and see the words and sentences being presented. As students enter the room, they look to see the Daily Question on the board. They take their seats and write their answers, with sharing and discussion to follow. This whole activity takes as little as five or ten minutes, but it gets the class thinking, reasoning, writing, articulating, and listening. A lot of bang for the buck. What are you looking forward to doing later today? What is making you nervous about next week? What happened the last time you felt proud of someone in your family? What would your grandmother say if she could see your bedroom right now? What makes your best friend so good? What farm animal is like a member of your family? Name three good things about Mondays. Tell about something unpleasant that happened last week. Would you rather be a wolf, a bear, or a skunk? Why? Write the dialog between someone you know who is very old and someone you know who is very young. Name one thing you would change about a relative or friend so that life would be better for him/her. The answers to most of these questions will vary from day to day, so don’t be afraid to reuse the questions from time to time. Add questions of your own to the list, but do avoid questions that can be answered with a simple “Yes” or “No.” Set the expectation for students to include explanations with their answers. It’s good to remember that some of the best writing assignments begin with discussion, so consider using the Daily Question as a launching pad for a major writing assignment. I often used the Daily Question to address difficult situations going on in the lives of my students, such as bullying or family troubles. Start with a pertinent question, allow for a discussion, then get the class writing. Students write the quotation and a reaction to it. Do they understand what the writer is trying to say? Do they agree with the message behind the quotation? Can they think of a time in their experience when the message applied to them? Using W.O.W. as a writing activity has many benefits. Wisdom is imparted, of course. Attitudes might start to change, and students become acquainted with some of the great thinkers in history. It’s just a matter of time until students start producing original pieces of wisdom written well enough to be presented to the class when it’s time for W.O.W. That is a time of great celebration. The man is richest whose pleasures are the cheapest. you realize just how much you love them. old to do interesting writing for most of the rest of your life. Hi Esther, wonderful post! I'll have to take a look at "We Think With Ink. 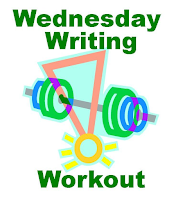 I especially liked Michael Leannah's prompt for writing with Words of Wisdom quotes, thanks. Inspiring quotes--thank you for the intriguing suggestions!